When it comes to Walt Disney World, there are some things that most people will do at some point on their vacations. You know ahead of time that you’ll ride the monorail, sing along with “it’s a small world”, and travel back in time on Spaceship Earth. There are other experiences that might not be part of your vacation. It could be because of the timing, the cost, or that you just never thought about it. Here are ten Walt Disney World experiences that you may not have tried, but you should if you can. If you’re a regular visitor to Walt Disney World you’ve ridden the PeopleMover countless times, but many people who have only been to the Magic Kingdom once or twice walk right underneath. It could be because the line is next to Astro Orbiter and people get it mixed up, or maybe it’s because you need to look up to see it. Whatever the reason why the Tomorrowland Transit Authority PeopleMover is overlooked by so many, let it pay off for you on your next trip to Walt Disney World. Enjoy the view; and the short line. If you’ve never participated in a RunDisney event, you need to consider planning your next vacation around a race. It is something that you should experience at least once. There is an excitement in the air that you won’t find in many other races, and you might see some surprise guests along the way. If you’re not a marathon runner that’s no excuse. There are races as short as 5K (3.1 miles), and you are not required to run as long as you can walk at a fairly decent pace. If you’ve never attended Star Wars: Galactic Nights at Disney’s Hollywood Studios you have a good excuse, it’s not held all that often. If there is something new going on that is Star Wars related such as a new movie, then check the Walt Disney World website to see if Galactic Nights is being offered. This special ticketed event features a special panel, possibly a celebrity appearance, a projection show, Star Wars related treats, and more. 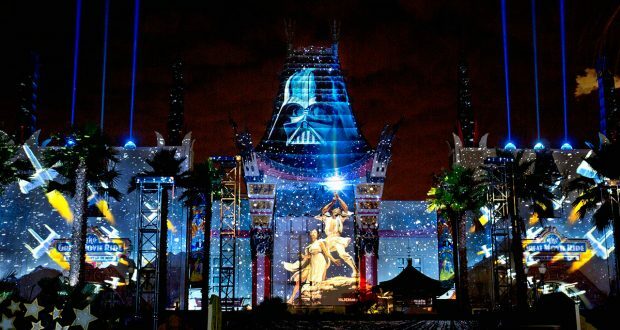 Since Star Wars: Galactic Nights is not held often, you can expect new fun each time. Sure, you’ve eaten in several restaurants in World Showcase and you’ve bought plenty of merchandise, but is that all World Showcase means to you? If you think that there are a couple of films and a few character greetings but that’s about it, you are missing out. The next time you’re at Epcot, take an entire afternoon to really explore the World Showcase countries. Wander through the buildings, walk through the gardens, and talk to the Cast Members from the host countries. You’ll have a whole new appreciation for World Showcase. There is so much rushing from one place to another while at Walt Disney World, wouldn’t it be nice to sit back and relax for a little while? You can do exactly that if you take a carriage ride. They are available at both Disney’s Port Orleans Resort – Riverside and Disney’s Fort Wilderness. For something truly unique during the Christmas season, schedule a Holiday Sleigh Ride. You’ll feel as if you entered the first verse of Jingle Bells, but without dashing through any snow. For more information or to schedule your ride, call 407-WDW-PLAY (407-939-7529). If experiencing a nearly empty Magic Kingdom sounds too good to be true, you need to look into these two options. With Disney Early Morning Magic you’ll ride Seven Dwarfs Mine Train, Peter Pan’s Flight, and The Many Adventures of Winnie the Pooh as many times as possible from 7:45 until the park opens to the general public. You’ll then be able to feast on an all you can eat breakfast. Disney After Hours is even more spectacular. You can experience 25 attractions and character meet and greets, plus eat as many Mickey Ice Cream Bars and as much popcorn as possible. It’s three hours that you will never forget. Both of these experiences have extremely limited availability, and are held on select days. If you would like to see Walt Disney World from a totally different perspective, you need to sign up for a behind the scenes tour. There are lots of different choices. You can learn about trains, see the Utilidor tunnels, hear about the care of the animals, and so much more. You can sign up for a tour that will take up a good part of your day such as Backstage Magic, or take a tour that is much shorter like Behind the Seeds. There are special requirements for some tours, and some have age limits. For more information, call 407-WDW-TOUR (407-939-8687). Small plates at one of Walt Disney World’s best restaurants, cordials, and Happily Ever After? That is what Celebration at the Top is all about. The flavors of the West Coast are featured as you dine in a private dining room in California Grill, which is located in Disney’s Contemporary Resort. You’ll then watch Happily Ever After on a private viewing deck, with the soundtrack piped in. It’s an intimate experience, and it’s perfect if you are celebrating something special. Celebration at the Top is held on select Saturdays and Sundays. Chances are that you have walked by the old fashioned vehicles once you’ve entered the Magic Kingdom on your way to get to Space Mountain. But have you ever gotten in line? You can take a ride back in time in a Fire Engine, a Horse Drawn Street Car, or another vehicle from yesteryear. Main Street Vehicles only run when the park first opens, so next time you arrive at rope drop don’t rush to another part of the park. Enjoy a ride in an old fashioned vehicle first. Victoria & Albert’s is the most expensive restaurant at Walt Disney World. There is a good reason for that, it is one of the best restaurants in the United States. It takes fine dining to a whole new level. Prices are set, so you won’t end up in shock when you get the bill. There are three different dining experiences; The Dining Room, Queen Victoria’s Table, and Chef’s Table. While Chef’s Table is the most elaborate experience, you can’t go wrong with any reservation. Have someone else watch the kids, since children under ten are not allowed. Give yourself plenty of time, a meal at Victoria & Albert’s can take three hours or more. You’ll enjoy every moment and every bite.